Canada's Liberal Member of Parliament (MPs) on Thursday blocked a Conservative motion to get Prime Minister Justin Trudeau's national security adviser Daniel Jeana to testify before a committee about his theory that factions in Indian government were behind the furore over Pro-Khalistani terrorist Jaspal Atwal. According to the CTV news, the Liberals used their majority on the Commons' national security committee to block the motion. Minister Ralph Goodale, who was at the committee to discuss his department's spending estimates, also declined to discuss Jean's theory. "I don't wade into operational discussions because that is not in the best interest of Canada," he said. 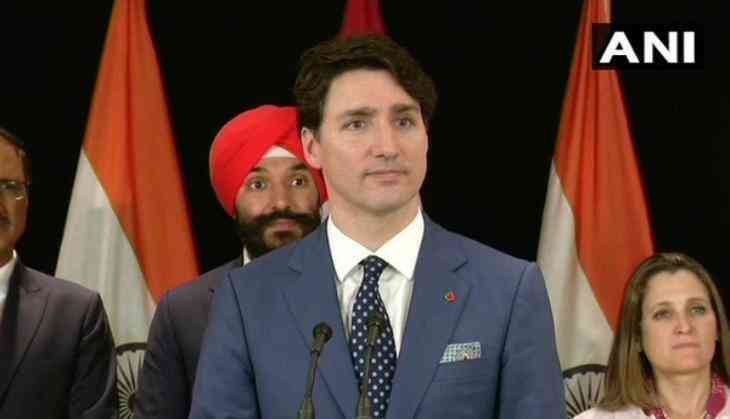 Earlier this, Prime Minister Trudeau did not refute the conspiracy theory that Indian government factions sabotaged his trip by approving the visa for Atwal. Responding to a Conservative leader's question about the "allegations" made by a senior government security source, Trudeau had said, "When one of our top diplomats and security officials says something to Canadians it's because they know it to be true." Adding that it was the previous Conservative government that "torqued the public service every possible way they could." Prime Minister Trudeau also received backlash over his wife Sophie Trudeau's photo with convicted pro-Khalistani terrorist. Canadian Member of Parliament (MP) Randeep S. Sarai, however, took responsibility for inviting Atwal to Trudeau's reception dinner in New Delhi. Jaspal Atwal was convicted of the attempted murder of Punjab minister, Malkiat Singh Sidhu, on Vancouver Island in 1986.